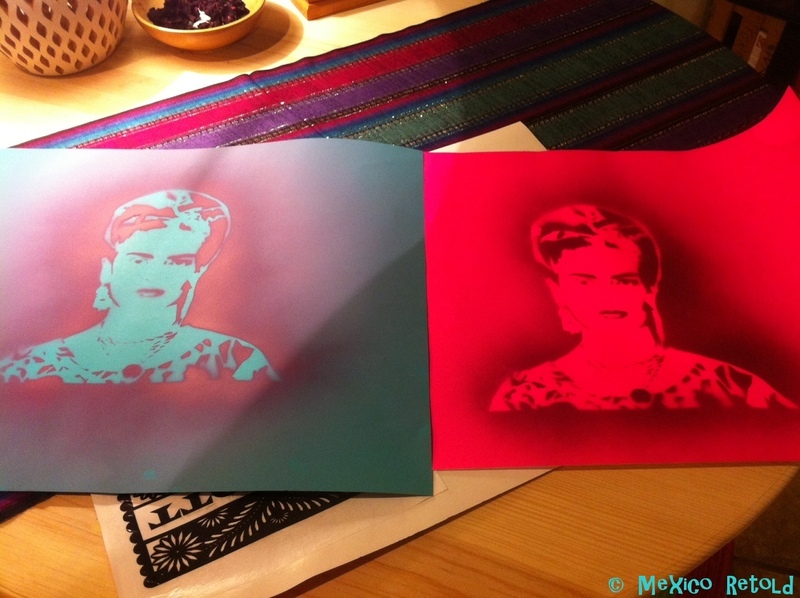 I have been getting really into stencil art lately and I am finding it is a wonderful way to decorate my apartment, bringing that Mexican colour I love so much. They look great on neutral walls as the colours look even brighter. 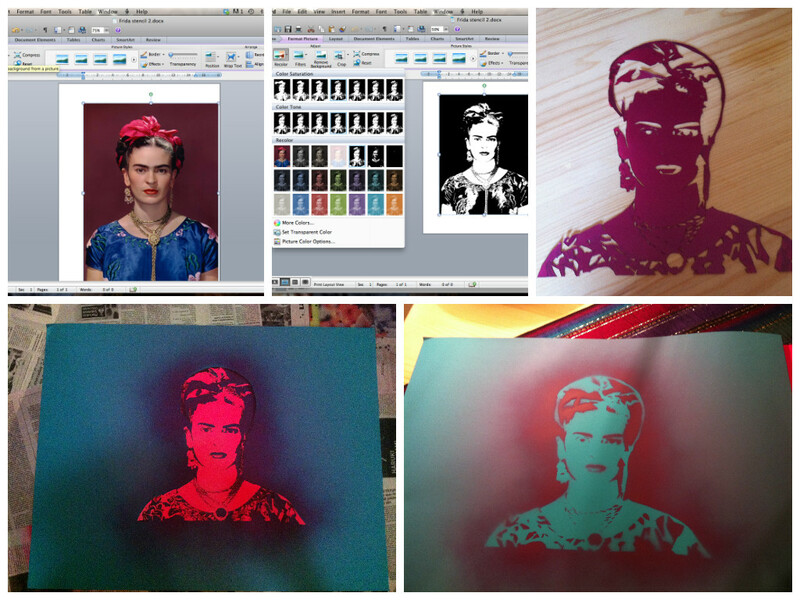 I had a few people ask how I made these stencils so I thought it was time for another Mexicanize Your Life blog post! The stencils are relatively easy to make, but they take some patience and thought. 2) Click on the image and then click on Format Picture then Recolor and pick the black and white stencil looking image as shown in the picture above. 4) Place the picture on top of a wooden board or a thick cardboard box and begin to cut out the black parts of the picture with a craft knife. Be very careful to plan where you are going to cut. You need to ensure that all the parts stay together where possible. This may mean being slightly untrue to the original. For example, in this stencil if I had cut out her necklace completely, her head would come away from the body. 6) Lay this down on newspaper in an outside area and spray the stencil with aerosol paint. Make sure the paint covers the entire stencil and then leave to dry. (As you get more practice you can play around with paint thickness/ thinness etc to create texture and shade). 7) Once dry, carefully pull the stencil away from the card, being careful to remove any tape gently and slowly so your stencil and/or the card underneath doesn’t rip. 8) Repeat, play around, enjoy! NB: When making a stencil of papel picado I cut out the white parts, rather than the black, leaving the shape of the flag in tact!